Naxos is the biggest of the Cyclades Islands and offers great connects between the different islands. It also offers regular sailings to Piraeus on mainland Greece. These routes are operated by Blue Star Ferries, ANEK Lines and Aegean Speed Lines and can be easily booked online with AFerry. On board Blue Star Ferries, as well as a range of cabins and seating including airline style seats, you will find an a la carte restaurant, cafe, bar, shops, internet access, ATM machine and night club. All Blue Star Ferries also now feature Goody's fast food restaurants which are Greece's equivalent of McDonalds or Burger King. Hellenic Seaways is a well known Greek ferry company. In addition to conventional ferries, the company also runs catamaran type vessels and fast ferries which can often be up to 50% faster than conventional ferries. 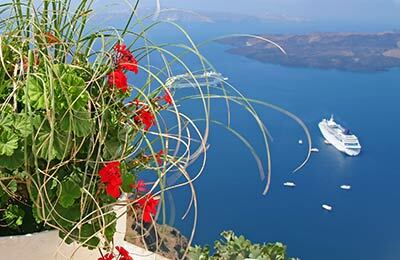 This means that you can island-hop across the Greek islands and have even more time to enjoy your destination. Hellenic Seaways ferries are modern and provide a full range of facilities on board. Naxos ferry port is situated close to the town centre, allowing passengers to benefit from the many facilities and services Naxos town has to offer. Naxos ferry port is well connected to the rest of the island by road, making getting to the port relatively simple. 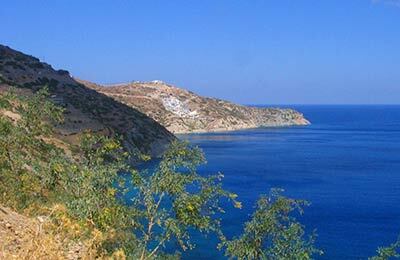 Naxos, the largest of the Greek Cyclades islands, lies in the centre of the Aegean Sea. Naxos is a unique island that has escaped mass tourism, despite its beauty and long history. Evidence shows that man has lived on Naxos since the 4th millennium B.C. Naxos is home to stunning scenery, from the beautiful white beaches and sand dunes covered in cedar trees, to the impressive mountains and fertile valleys further inland. The main town of Naxos is Hora (also known as Naxos town), in the north of the island, which offers all the modern amenities you would expect from a sizeable town. Hora is home to the Ferry Port of Naxos, which is surrounded by seafront cafés and bars from which you can enjoy the view out to sea.